UPDATE: This lawsuit, along with another brought later, was dismissed in August 2015. 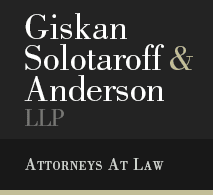 As I'm sure most readers of this blog know, self-publishing services provider Author Solutions Inc., along with its parent, Penguin Group, is currently the subject of a class action lawsuit, filed in May 2013 by the law firm Giskan Solotaroff Anderson & Stewart LLP. Allegations include breach of contract, unjust enrichment, and violation of state statutes in California, New York, and Colorado. In June 2013, ASI and Penguin filed for dismissal, labeling authors' complaints "a series of gripes" that would be better served by filing individual suits, and urging the court to toss all but the breach of contract claims against ASI, and to remove Penguin from the lawsuit entirely. Legal maneuvering over the dismissal filings ensued over the following months (plaintiffs' Second Amended Complaint can be seen here), even as discovery proceeded on the contract claims. All claims against Penguin are dismissed. Penguin is dismissed as a defendant in this action. The activities at issue here were undertaken by Author Solutions, a subsidiary of Penguin. Plaintiffs concede that they are not attempting to pierce the corporate veil in order to hold Penguin liable for Author Solutions’ actions. Accordingly, under basic corporate law principles, Penguin cannot be held liable for the alleged misconduct of Author Solutions. Plaintiffs allege two distinct forms of unjust enrichment by defendants. First, defendants unjustly profited by failing to pay royalties at the rate set forth in the contractual arrangement. Second, in failing to provide services that members of the class purchased without entering into a contract, defendants were unjustly enriched in the amount of the revenue received for those services. Plaintiffs’ unjust enrichment claim as to unpaid royalties is dismissed. The royalty rate is governed by written contracts, which plaintiffs seek to enforce in their breach-of-contract claim. Accordingly, these royalties cannot be recovered under an unjust enrichment theory. Plaintiffs’ unjust enrichment claim as to the non-contractual publishing services, however, is adequately pled. Unlike the claim regarding unpaid royalties, plaintiffs allege that there was no written contract setting forth the nature of the services for which they are seeking damages in their unjust enrichment claim. The surviving claims will now proceed to discovery, and the parties have submitted a proposed pre-trial schedule. A self publishing author recently sent me a proposal for PR services from S&S self pub arm. It is full of promises they can't possibly deliver on and the cost is astronomical. Taking advantage of those who don't know better, it's really sad when this is where publishing has come to. Sad indeed! Big publishers sometimes seem intent on confirming their detractors' worst criticisms, and devaluing the work of their own employees and their traditional strengths. I was a client of Author Solutions/Author House/Xlibris. Signed and paid 3 contracts for marketing, publishing, editing, covers - the whole, for $10,000! I did the editing(the editor tried to literally "re-write"the book; did the covers: pictures, font, texts - everything; the marketing - bareli even the publisher knew about my book! For the past 4 months i'm fighting the company/ies for return and their computer goons - for crashing-&-burning 1 computer, and ruining my Facebooks, AdWords Campains, my book-website and everything related to the book! They have a whole computer chasing and ruining their former authors'chances of success, at any time of the day! To the extent that they crashed the local Exchange Board 3 times,and actively abuse the Sothern Cross Route"! Penetrated my Internet provider at any time and i had to list "Cyber-crime" with Interpol! Author Solutions, Indiana, USA implanted a “back-sign” on my book’s website “promotional notice”: “Starts in 2030”! Then, the rubbish in all my sites was a non-stop, including some “below average” inappropriate level. Erased it, recovered the page and started marking my posts to lead to the book. Again: false hash-tags (#author, #book etc) were taking my readers to completely unrelated and ugly posts compiled by the computer goons from Author Solutions in “lists” completely low-level taste and language. I started posting on my sites about them, the posts they place on my F-book-websites/pages and the other sites. Their crimes and hooliganism extended to, literally, doubling and tripling my posts, erasing some and adding more spam! – on the front and the “back” of pictures, on the back of my sites, all #-tag rubbish etc. Barely had 5-6 visitors with 56/day first 6 days! Until Author Solutions reached the climax – hijacked my book-website! Literally! Placed their email address for orders jelson.maghuyop@xlibris.com and moved my book-website to their “screen”-company www.victoryhosting, registered in Australia, which, contrary to all International Cyber Regulations, "collects" the Internet Account numbers of visitors! Crashed, literally, my previously good opinion about the US and my friends and family - wondering "what the...?" I would like to point out that the "war"on self-publishing authors does not differ from any other type of war(trades, professional, scientific.. I would like to “wave the flag” of social “indignation” (as Cervantes says), because the peace and friendship were kicked in dark holes, while 15 years ago we were all-the-same - blacks, white, purple or green...We used to be one big family. People like Author Solutions not only stole my money, but robbed me from my friendly, open nature! There's a form you can fill out on the lawyers' website: http://www.gslawny.com/author-solutions-deceptive-practices.html . My name is Annette Evalyn Swain, It has been strange as I worked for a big firm and I know I've had more people buy my book with in that firm. My book, "Suicide Angels and the Silent Terrorists" sales are so much more than the royalties that are reflected, even on Ebook sales alone. It's shameful, "TheDevil@Work /Suicide Angels," that's the title of my next book but they definately won't be getting their grubby, greedy little hands on that one, unless they want to pay me $250,000.00 up front, that's Two Hundred and Fifty Thousand Dollars, just incase someone gets their decimal points mixed up, as seem to be with iUniverse and Author Solutions. My name is Timothy Lent. I am the author of a book on Viktor E. Frankl, the eminent psychiatrist, Holicaust survivor and Founder of "Logotherapy," which was published by Xlibris in 2004. It took my eight years to complete the book. In 12 years, I have seen less than $300.00 in royalties, even though I used the book as a text in my university courses. Not only that, but I called about returning my original manuscript and I have yet, to date, gotten a reply. I wanted to correct some spelling and formatting errors in the book and I was told that I would be charged for the corrections. I am embarrassed by the business deal, because Xlibris dishonors the work I have done on the life and writings of Dr. Frankl.